i love making my franken polish concoctions. as i already said, i usually just have some empty polish bottless that i fill with the last droplets of other polishes. i already made a few of those (you saw she's thunderstorms) and i am loving all of them. out of time (inspired by a blur song, link at the bottom) is actually one of my favourites! 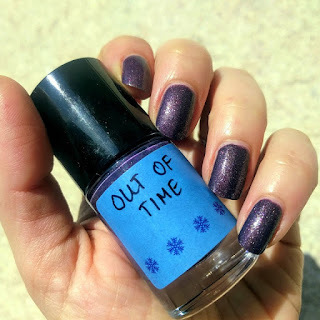 out of time is a purple-eggplant kind of shade filled with silver shimmer and lighter purple hex glitter. 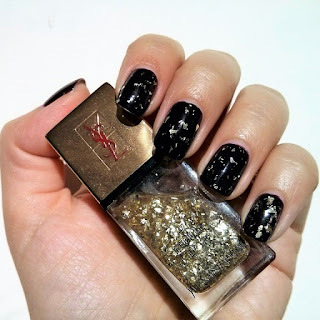 i love how it looks in shade, as the glitter is more pronounced. therefore, a bit more photos than usual, but what can i do, i am in love! 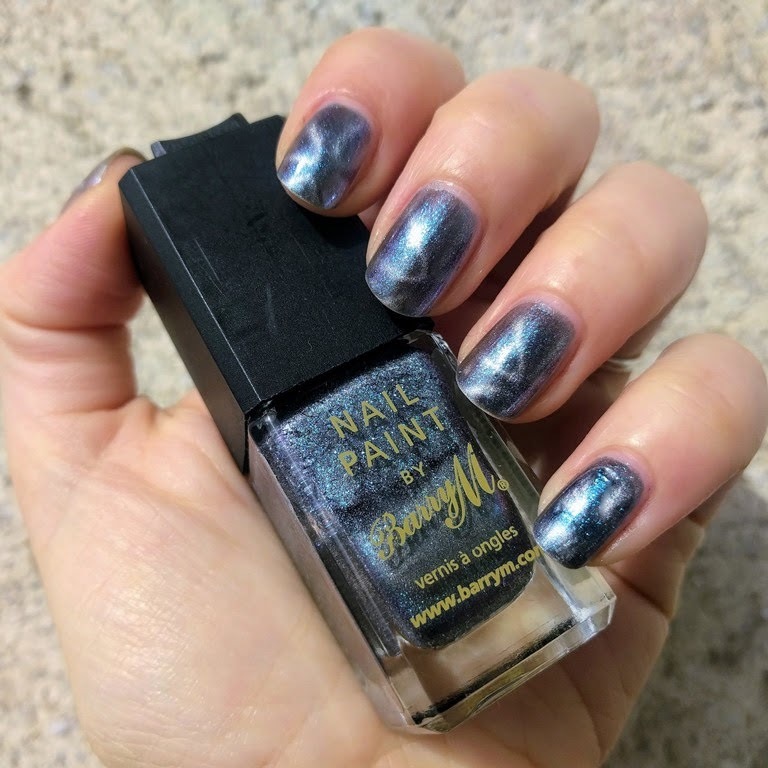 after showing moon dust, it's time to present neptune sea, my other barry m polish from their magnetic effects collection. i loved moon dust, but i had "problems" with neptune sea. although with it being mostly silver (as you can see from the polish on its own, without using the magnet), magnetic particles are actually blue glittery particles. it took me a lot of wears until i realized that i don't like it with the magnet that it comes with, this weird star-like pattern. i feel like it somehow difuses the effects, and you are left with the feeling that something is missing, that either magnet is not good or that the polish itself is not behaving well. 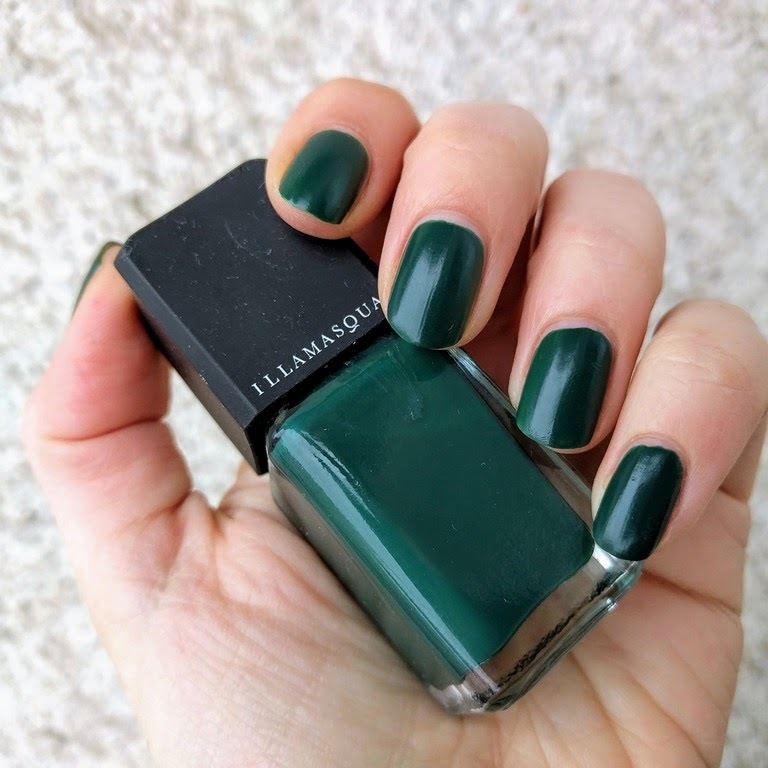 my urge to show something green was fulfilled with kink from illamasqua's theatre of the nameless collection back in 2011.
i got kink and taint on a blog sale, otherwise, i'm not sure that they would catch my eye. this collection features polishes with an interesting, rubbery finish. 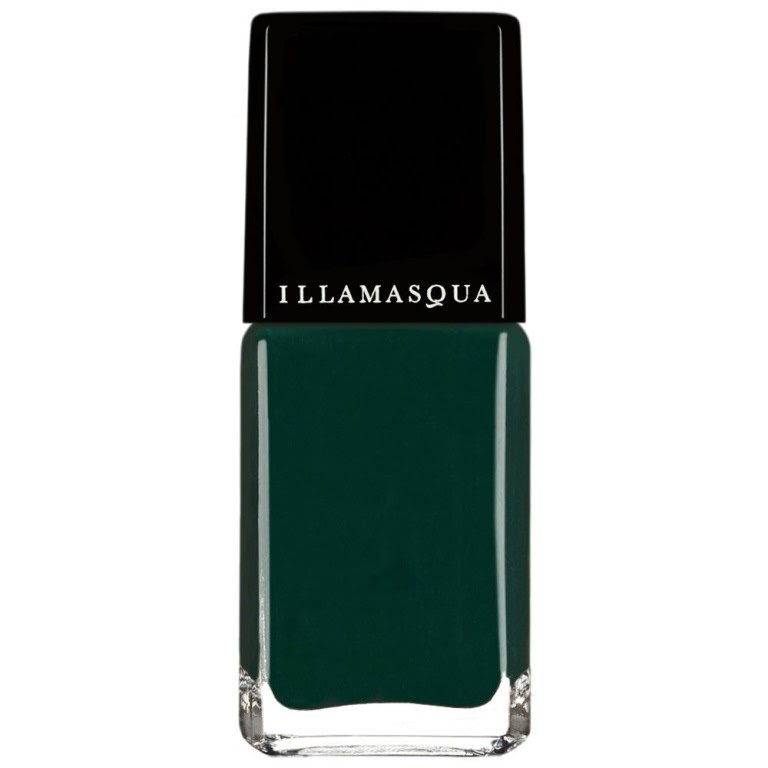 kink's colour is dark, winter green with some blue undertones. the formula is interesting, it's not streaky but the drying time could be better (or maybe i'm just too used to using fast drying top coats). i find this finish to be really interesting, somehow leather looking. 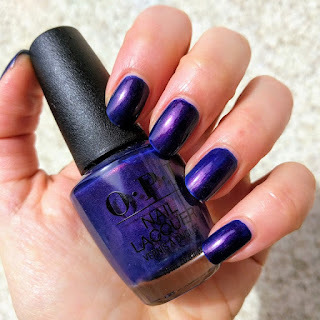 it's been a while since i bought an opi polish, but i knew i had to have turn on the northern lights from their last year's island collection. 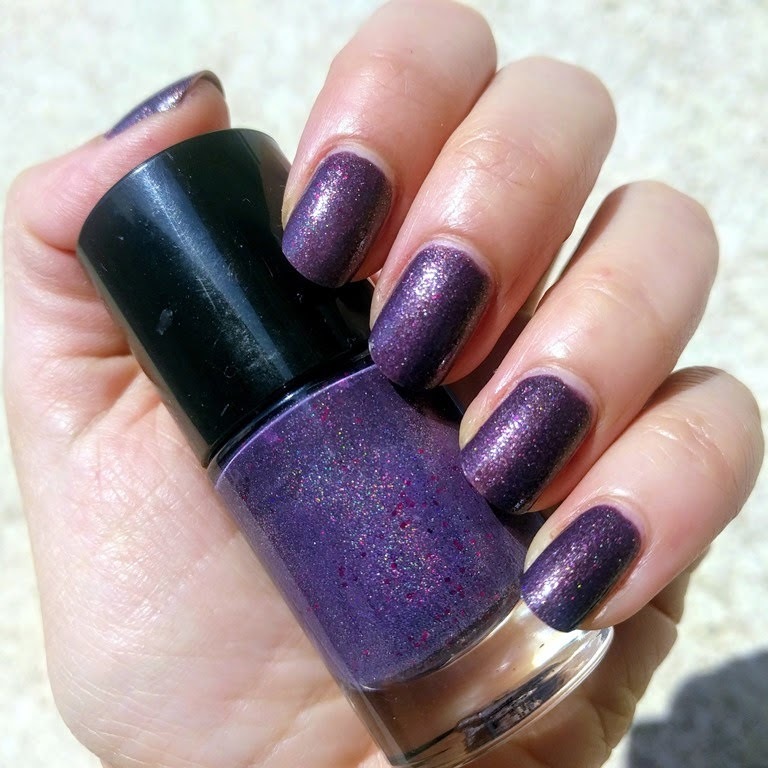 opi describes it as "straight from the midnight sky, this deep purple sets the stage for an unforgettable show". i call it HOLLY COW! this polish is pure awesomeness! it is a dark blue, filled with this absolutely spectactular "lit from within" shimmer that closely resembles the elusive "unicorn pee" pigment. the shimmer makes the base colour look more blurple/indigo even though it isn't. 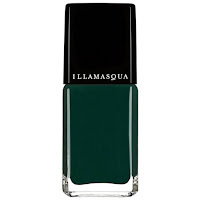 formula is also good, it flows easily, and it has this crelly look that opi pulls off so well. i also keep forgeting that opi has one of my favourite brushes, so this is another plus. anyhow, if you still don't have your bottle, run for it! i have been away for a while, do to work travels, and i make my return with some bling! 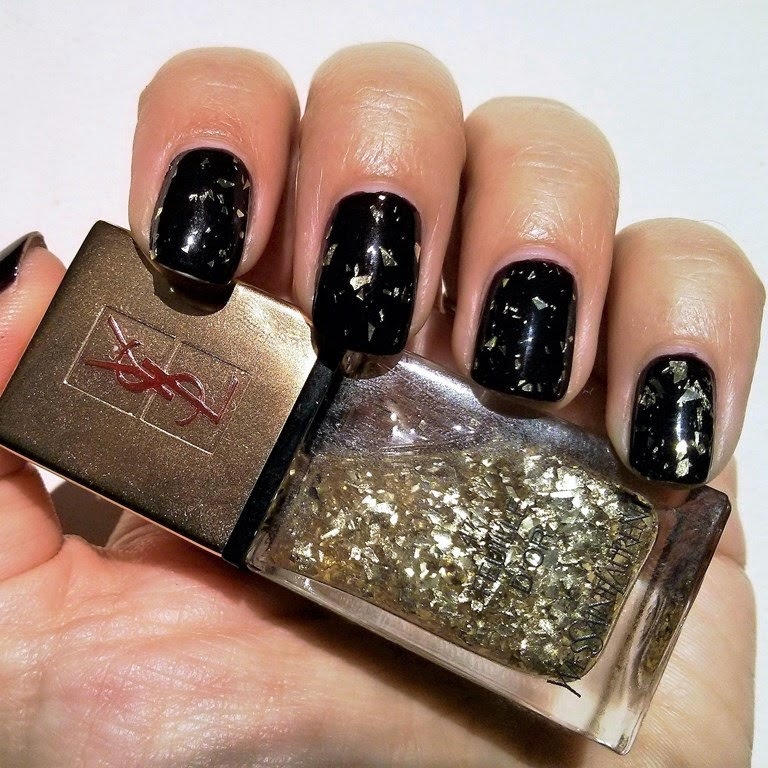 i am showing one classy topper, ysl feuille d'or. 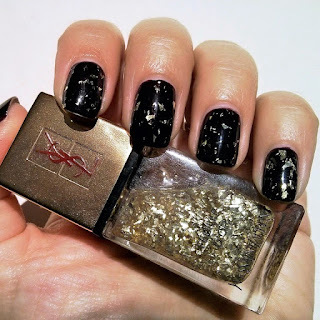 i love the ysl collection, spicy, that it was a part of. it seems like it was only yesterday when it appeared, and i just now realized it was back in 2014! i think the name matches the polish beautifully, as it really looks like having golden leaves on your nails. it is a topper that looks good over any shade, which i hope to show here in time.